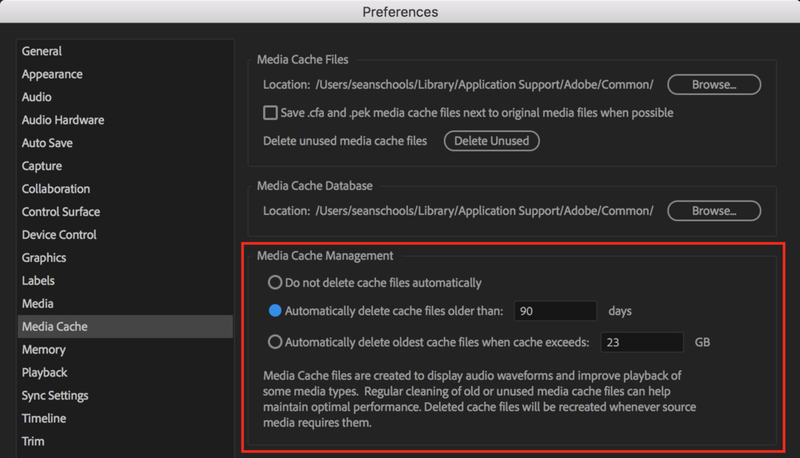 Just some context for this new feature: Premiere Pro CC 2017 (11.1) introduced new media cache management preferences that could automatically remove old or unused media cache files. These preferences are intended to help users save storage space and was enabled by default. There were reports that this feature was the culprit for deleting user source media. It was discovered that media files were at risk of being deleted if the media cache folder was not set to the default location. Adobe released a fix in version 11.1.1, which restricted the auto management to the media cache folder structure, and later released version 11.1.2 which further restricted it to specific file types (.pek, .ims, .cfa, etc.). The 11.1.2 update also turned the media cache management preference off by default. In the 12.0.1 release, Premiere Pro now warns users with a dialogue box that media cache files will be deleted when the preference is enabled. For the longest time, Variable Frame Rate was not supported in Premiere Pro. Variable Frame Rate (VFR) simply means the frame rate varies throughout the video. 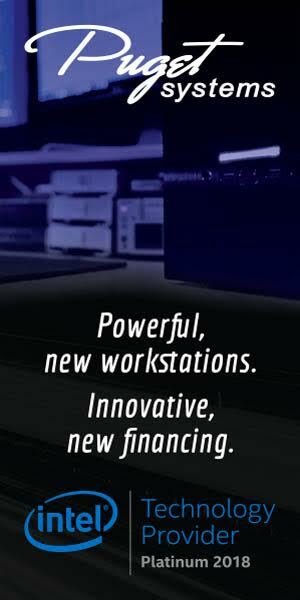 In the past, if VFR footage had audio, it would slip out of sync with the video inside Premiere Pro. To fix this required manually keeping the audio in sync or converting to Constant Frame Rate using applications like Handbrake. Premiere Pro CC 2018 12.0.1. can now detect Variable Frame Rate footage. This is indicated in a clip's Properties, which can be found under File > Get Properties for > Selection. Alternatively, you can right-click the clip in the Project panel and select Properties. Premiere Pro CC 2018 12.0.1 also adds Preserve Audio Sync for Variable Frame Rate footage. This will automatically keep audio in sync without having to make any manual adjustments. Preserve Audio Sync can be found under the Master Clip Effects tab in the Effect Controls panel. Preserve Audio Sync works by adding or dropping frames, which can result in choppier-looking video. Preserve Audio Sync is the default for all VFR clips that have audio. If you're working with VFR footage and audio sync is not important, you can select Smooth Video Motion instead. This option ignores the audio and keeps all the available frames. Smooth Video Motion is the default when Premiere Pro does not detect audio in VFR clips. This multi-cam feature existed in the Program Monitor and is now found in the Source Monitor in Premiere Pro CC 2018 12.0.1. Users can toggle the selected camera fullscreen when viewing multi-cam clips in the Source Monitor. ARRIRAW codec in an MXF container. HEVC (H.265) codec in a MOV container. 12.0.1 also improves playback for DPX sequences. In Premiere Pro CC 2018 12.0.1, holding the SHIFT key when dragging a clip in the Timeline will lock the clip to up and down movements only. This will prevent unintentional horizontal clip movement when moving clips from one track to another. This feature is great for editors who like to get handsy with the mouse, dragging clips vertically in the Timeline. Multiple projects can be imported as Shared Projects by selecting the new "Do the same for all projects" check box. Match Frame (F) loads the master clip at the current timeline indicator (playhead) in the Source Monitor. It's extremely useful for seeing if there's more usable footage beyond what's shown in the Timeline. Premiere Pro preserves clip in/out points in the Source Monitor when match framing clips from the Timeline. The 12.0.1 version of Premiere Pro has a new Timeline Preference called "Match frame sets in point". When enabled, Match Frame will open the master clip in the Source Monitor and add an in point at the current time indicator (playhead) instead of showing the clip in and out points. Whether or not you find this feature useful depends on your project and workflow. "Make Subsequence from In to Out" is a new mappable keyboard shortcut added to Premiere Pro CC 2018 12.0.1. It's important to note that this command ignores track targeting. All tracks will be included in the subsequence. Additionally, the new subsequence will automatically open in the Source Monitor. We think some of the new features in Premiere Pro CC 2018 12.0.1 are absolute gems. But we would like to hear your thoughts! Are you overjoyed to finally have support for VFR? Are you happy with how it's integrated as a Master Clip Effect? How might you use the new "Match Frame Sets in Point" preference? Will you set a custom keyboard shortcut for the new "Make Subsequence from In to Out" command? Let us know below!